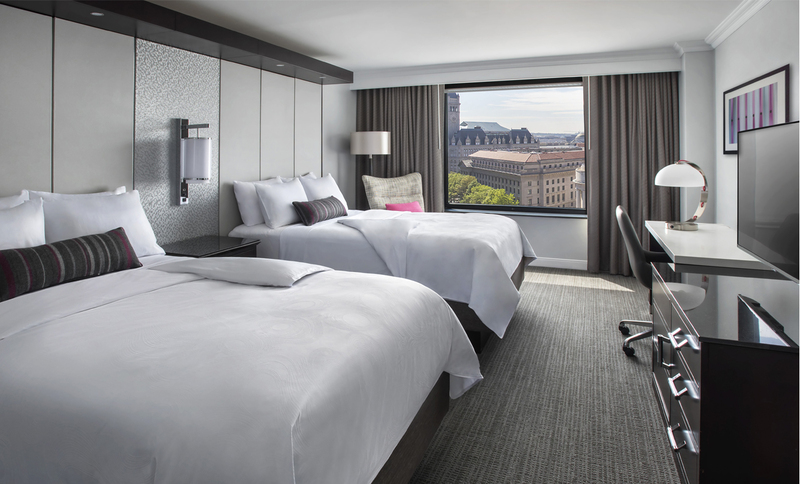 ForrestPerkins recently redesigned the hotel guestrooms, corridors and Executive Lounge in partnership with hotel owner and longtime client Host Hotels & Resorts. 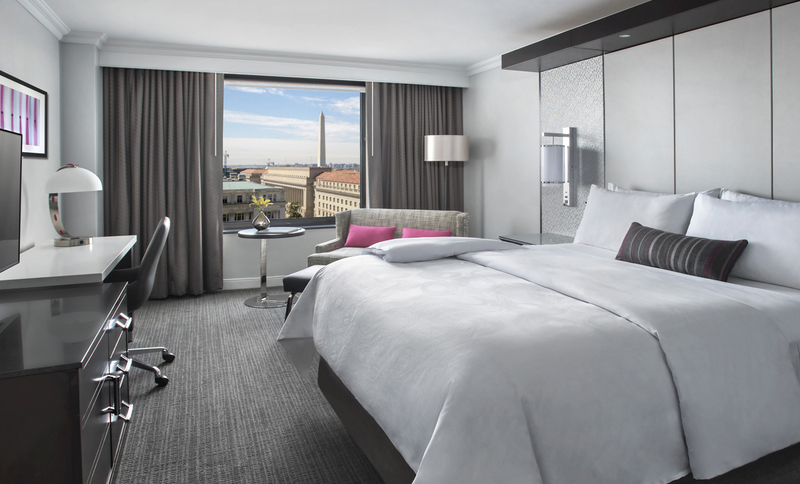 Inspired by the hotel’s locale in downtown D.C., interior details are inspired by a bespoke tailored suit, with a color palate of deep charcoal, pearl gray and small accents of pink, and chrome reminiscent of a men’s’ pocket square or cuff links. 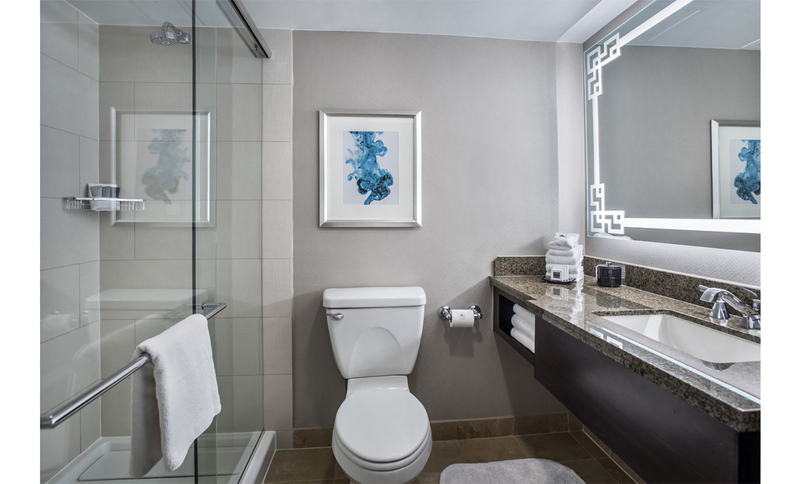 Leather, herringbone stitching, and subtle patterns of Greek keys and paisley feature within the design. 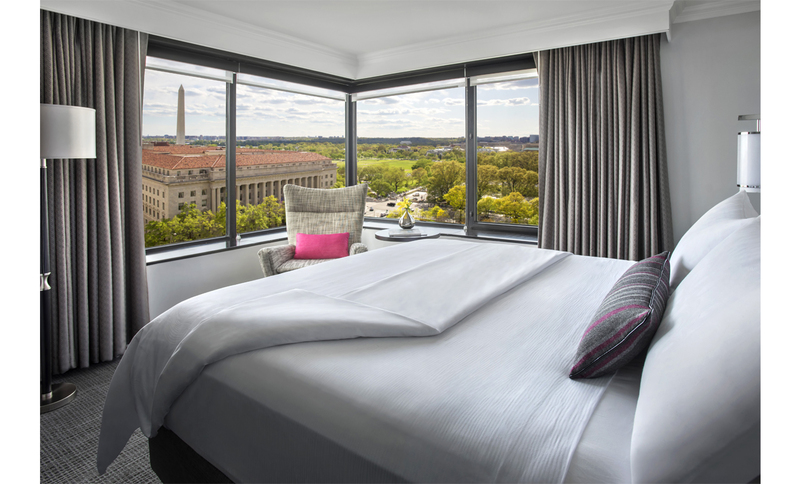 The hotel is a luxury home base to explore the United States capitol, steps from the National Mall and US Capitol building.